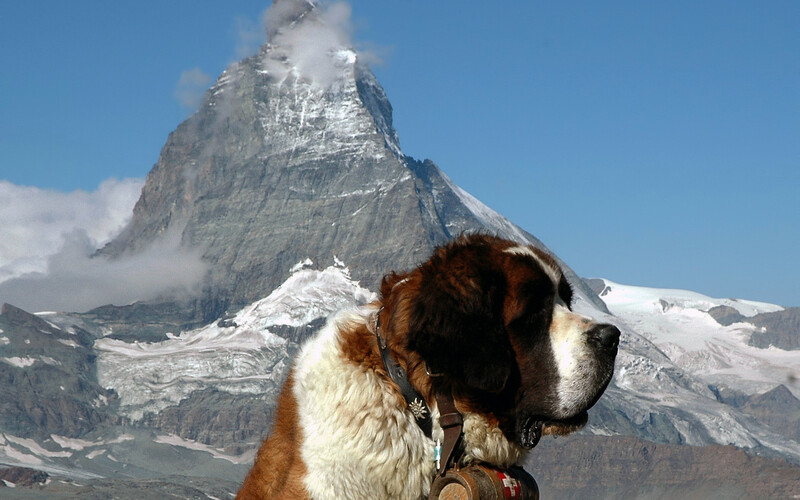 Saint Bernard breed is quite large, docile, kind, loves children. Saint Bernard breed is quite large, docile, kind, loves children. From ancient times, these dogs were used as rescuers search for helping people caught in an avalanche. Beautiful dogs and puppies of large and small breeds posing in photos of high resolution. High quality pictures with dogs.